WHICH brand is the best hair care for my hair type or am I stuck with frizz forever? HOW do I recreate those celebrity styles at home without a million products and my own personal stylist? WHY would I ever want to put cornstarch in my hair? WHAT does all that flat iron and hair dryer tech talk really mean? Nano, Tourmaline, Ionic? Huh? Look no further as StyleBell uncovers the scoop on all things hair and more! It’s a place to hangout. It’s a place to learn. It’s a place to share. Stay as long as you like and come back often, we love the company! Done with your research and feel like a little shopping? Come visit us at www.stylebell.com! If you would like to contact StyleBell including product reviews and press inquiries, please contact us at info@stylebell.com. Sapna Parikh is the editor of StyleBell. Sapna Parikh has been in the beauty industry for over 10 years and focuses her research on everything hair including trends analysis, retail forecast, and product research and reviews. Sapna is a graduate of the University of Pennsylvania, Wharton School. Sapna is available for print, television, radio and new media interviews. If you need a hair and beauty expert Sapna is your answer. Her charismatic charm, extensive research, and of course gorgeous hair will capture your audience. To book Sapna, contact info@stylebell.com. 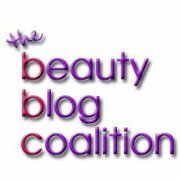 I just wanted to let you know that I love what you are doing on your blog so much I posted a flattering review of your blog on March 8th. Keep up the great work! your blog is great and a wealth of information. thanks!! 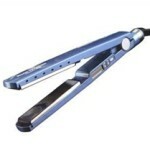 I purchased a CHI Flat iron for my daughter who is a freshman at Western Michigan University. I just wanted to make sure that I am buying a new appliance and not a refurbished or otherwise used one. Your site sales new stuff right? Her flat iron gave out and she used her roommates who had a CHI and fell in love with it, so I wanted to make sure I had purchased new one so it would last a while. I have midium Dark brown hair andd it is soo frizzy! When i straiten it it goes alright but them in a bout 5 mins its soo frizzy! I want a Side fringe thats cut from the side but my other side fridge is different lengths! Do we have to have lisence to shop from you? You have nothing to worry about. All of the hair appliances that we sell are brand new.